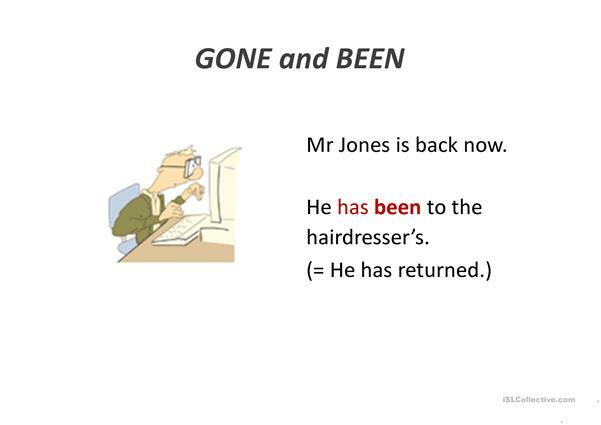 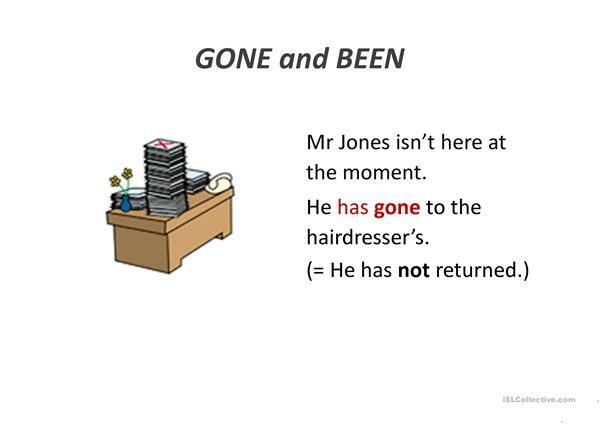 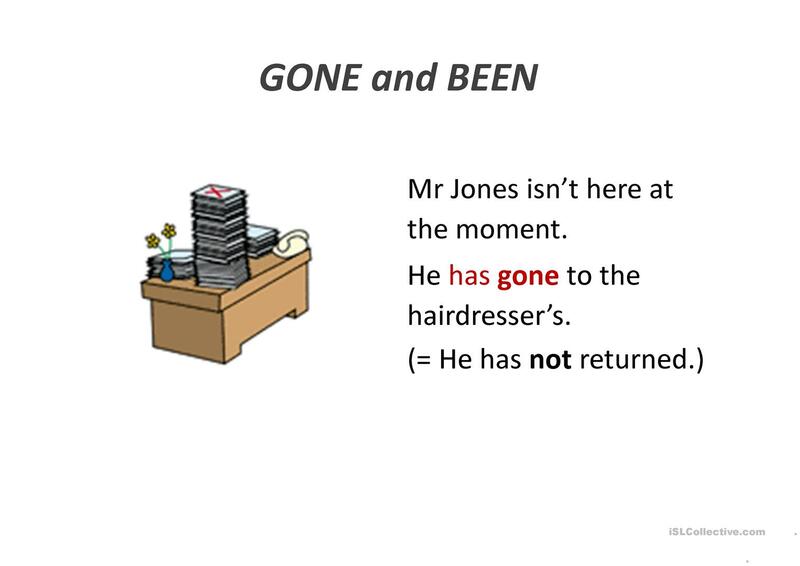 PPT on the present perfect and the different usage of the verbs go and be. The present downloadable worksheet is a great resource for elementary school students at Pre-intermediate (A2) level. 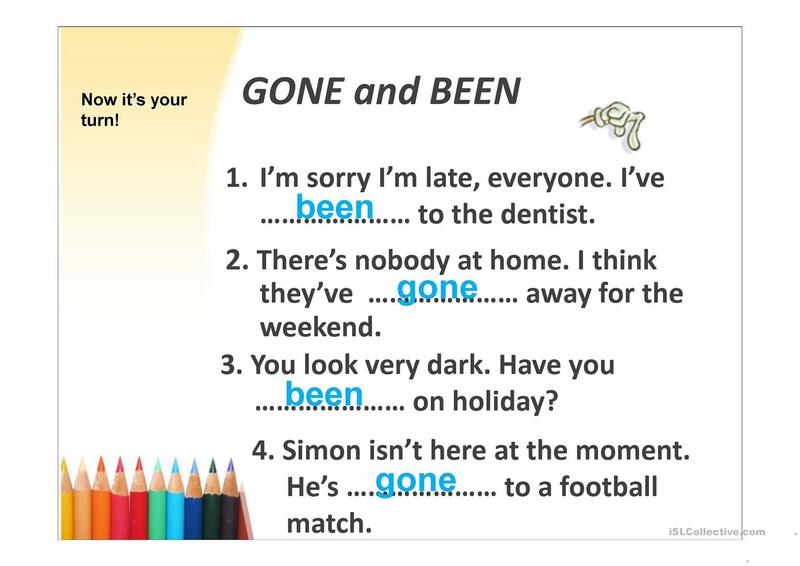 It is valuable for practising Verb tenses in English, and is excellent for strengthening your students' Speaking and Reading skills. 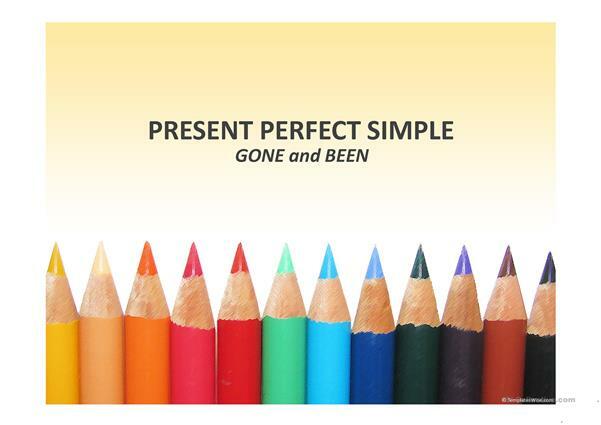 beginnersluck is from/lives in Portugal and has been a member of iSLCollective since 2011-10-05 12:45:38. beginnersluck last logged in on 2011-10-21 23:03:56, and has shared 6 resources on iSLCollective so far.